I can easily see how you got compliments while shopping with these beautiful nails! This is so nice, Sue! I loved that you added a pop of red! Yes, Yes, Yes! Sue, this is so pretty! What do you mean, looked so much better in real life? They look AMAZING here! Perfect! They even look sort of fuzzy! so cute! 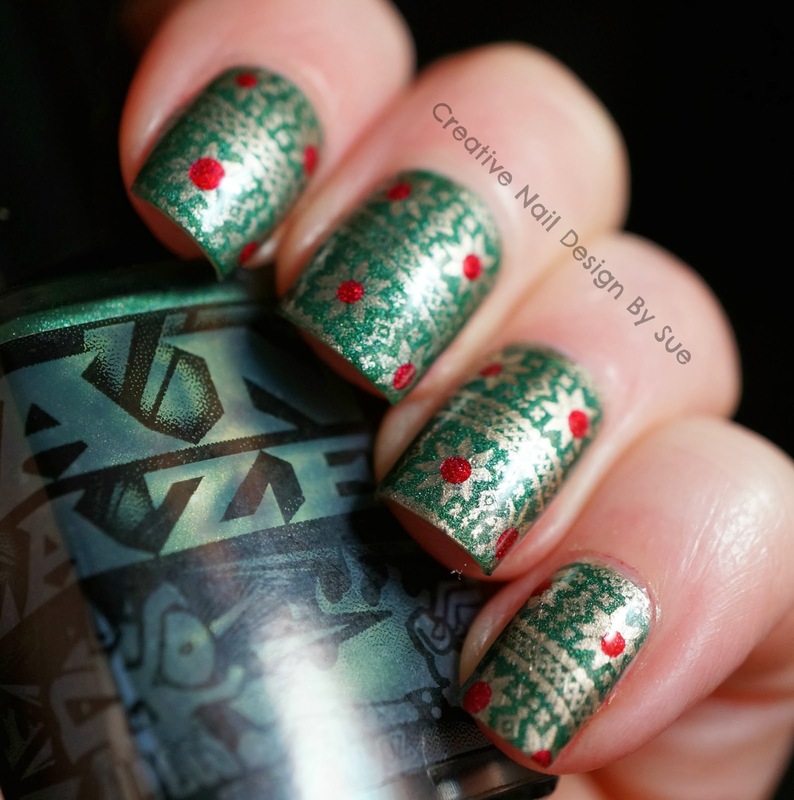 this is the most "sweater-like" mani have seen yet!